"She has always moved between worlds, but now she must choose a side..."
Jocelyn Green's third novel again follows the french theme. But this time taking place in North America in 1759 Montreal during the Seven Years' War between Great Britain, France, and the native tribes surrounding the Montreal and Colonies area. I've really enjoyed her previous books and I couldn't wait to pick this one up as well. Catherine Duval would rather remain neutral than to pick a side. Trading to both the French and the British, Catherine is suddenly thrown into the war when her ex-fiance, Samuel Crane, shows up and is taken prisoner by her father. Claiming to have information that could help end the war, Samuel asks Catherine for her help to escape since she knows the way to Quebec, but she's hesitant. Conflicted on whether or not to help the man who broke her heart, Catherine knows that New France is starving and cannot survive another winter with no food, Catherine agrees. And drama and intrigue ensues. I was surprised by the fact that this book was taking me longer to get through than her other two books (Mark of the King and A Refuge Assured), both of which I've written reviews for, when the plot suddenly twisted and my doubts and disappointments disappeared. Jocelyn Green writes so well. Each time I've kinda expected these books to all be very similar (you know, conflict happens, girl meets boy, girl marries boy, then the end) but they are all very different. There is the tease of a romance, but that's not the central focus of the book and BOY, it was like a breath of fresh air. 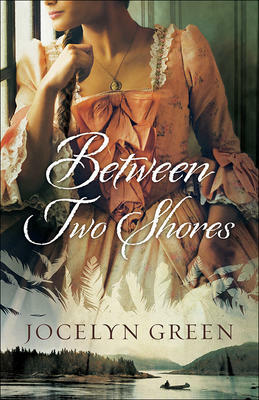 For more information on Between Two Shores by Jocelyn Green, visit us in store or visit our website here.